Today I added the headstone for a boy who was born and died in 1954. There is no indication of who he is except for his last name. An attempt to find his death record on Nova Scotia Genealogy failed. Perhaps it was miss filed (in other words, the name was spelt incorrectly by the person entering the record into the database) or the year on the headstone is incorrect. The next headstone photo taken after this one was for Pauline Ethel Romkey (1920 Necum Teuch – January 30, 1993, Sheet Harbour) and Gordon ‘Rexford’ MacDonald (twin; September 13, 1912 Harrigan Cove – May 21, 2001, Sheet Harbour). Could this baby boy be their son? According to Bob Hegerich’s website Our Family – The Relatives (and In-Laws) of Robert L. and Mary J. 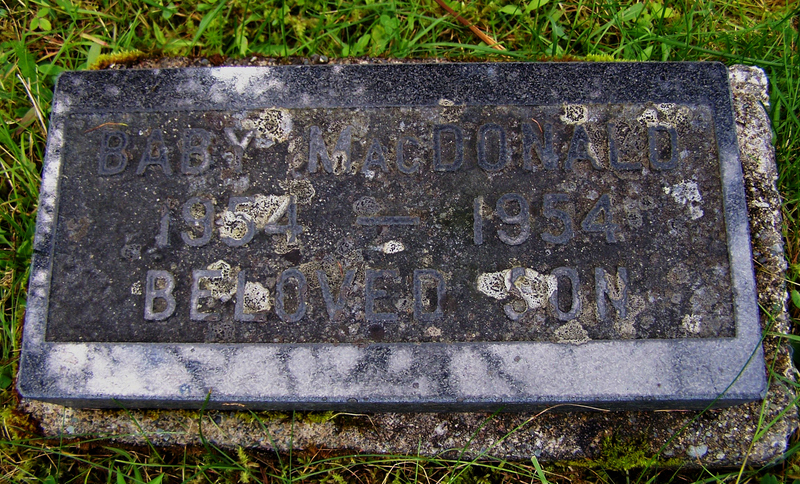 (Mahoney) Hegerich, Pauline and Rexford did have an infant child who died before 1970. 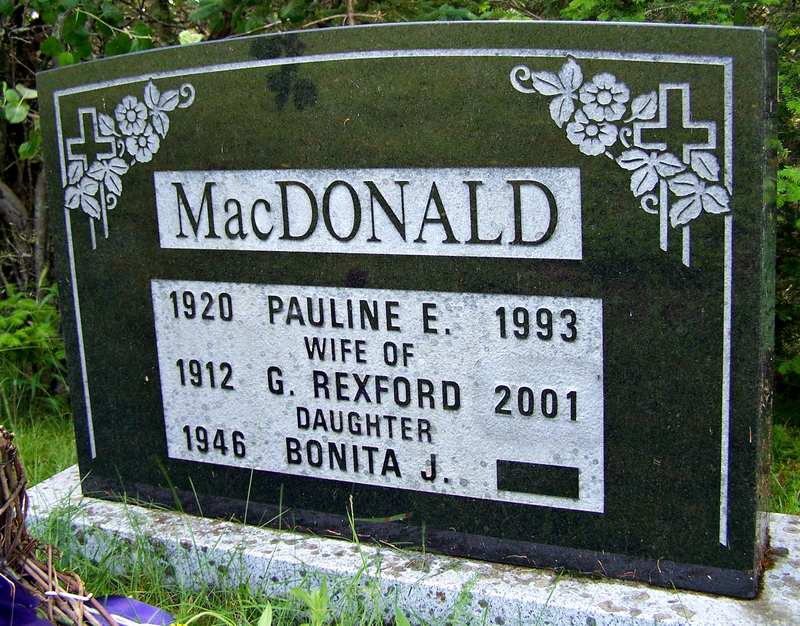 They had three other children who lived to adulthood: Susan, Thomas and Bonita J.
I’ve also added the headstone that contains the names of Pauline, Rexford and Bonita. These two headstones were filed under Churches, St. Mary’s Anglican Church, Mc and Mac.